We’re gonna need a bigger box of Kleenex. And probably the kind with added lotiony moisture. Song of Parkland debuts this Thursday and even though this documentary focuses on as much positivity as possible after the mass shooting at Marjory Stoneman Douglas High School in Florida, it’s still heart-wrenching to watch the teens who survived. But the heart of this taut 29-minute film beats for and because of the drama students and their fearless leader, Melody Herzfeld, as they put on the show they were literally rehearsing as the massacre unfolded. 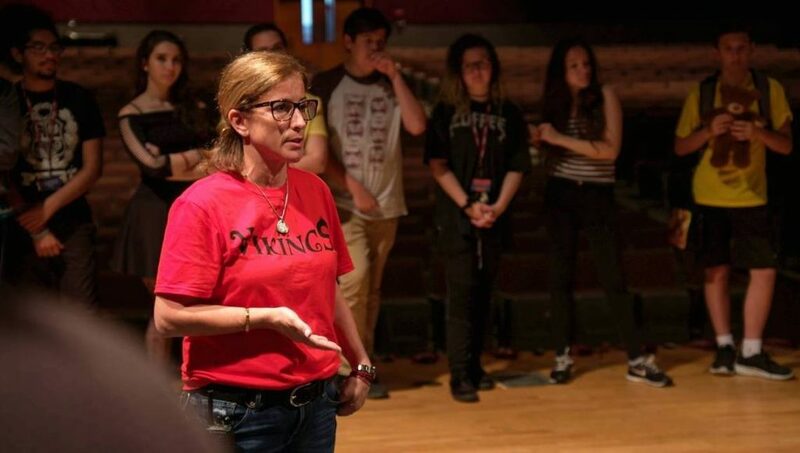 By finally getting the musical to the stage, the students-turned-activists and their teacher prove that no matter how tragic life can be, the show truly must go on. It also shows off the true power of drama club. But many of you reading this already knew that.